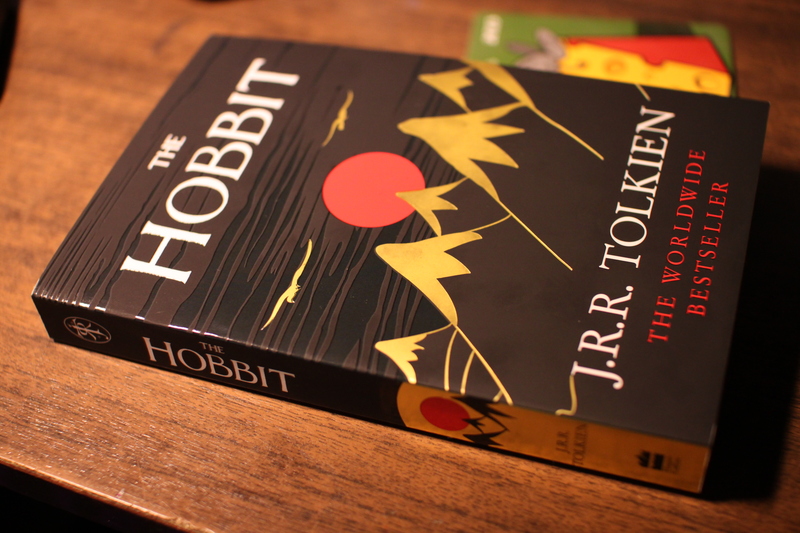 It was my second time reading “The Hobbit”, as I’ve previously read it about ten years ago as a teenager and before that I remember it being read to me and my brothers as a bedtime-story when we were children. So the story wasn’t really new to me. However it was still an exciting read, and as I read it in expectation of the second Hobbit movie, I’m glad that it is a rather quick read, although for some reason I did feel at parts that it was a bit dragging along (maybe that’s why it was such a good story to be read for children before bedtime? ), specially in the end. Of-course I was in a bit of a hurry in trying to finish it as fast as I could. If you’ve read it, didn’t you wish there’d been a different conclusion for Smaug? To me it seemed as if it was just an unfortunate event which was hidden by the later events on the Lonely Mountain..
As I’ve finished reading the book now again I can’t wait to see the new movie, to see what other things they’ve put in there that aren’t really in the book. This entry was posted in Fantasy, Fiction and tagged book review, J.R.R. Tolkien, The Hobbit. Bookmark the permalink.